A great alternative to eye lash extensions for clients with sensitivities. This low maintenance solution lasts for up to 12 weeks. Perfect for those with straight or forward facing natural lashes, giving your eyes and face an instant lift. You will look more awake and even more youthful! 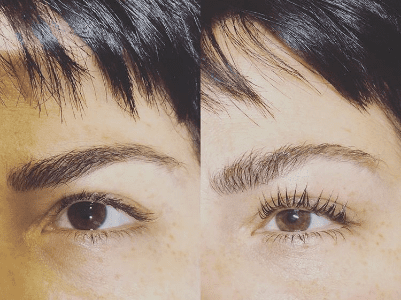 Lash extensions are a glamorous way to extend the length and thickness of natural eyelashes and are a practical, convenient and beautiful alternative to the daily use of mascara. Eyelash extensions are individually applied to a single lash and can range from subtle to vavavoom! Lashes are feathery and light and feel completely natural. For truly dramatic eyes, have your lashes and brows professionally tinted with a color that suits you perfectly!